There has never been a better time to expand your education in the geospatial sciences and technology, and NC State provides an outstanding opportunity for scholarship and training in this quickly growing field. 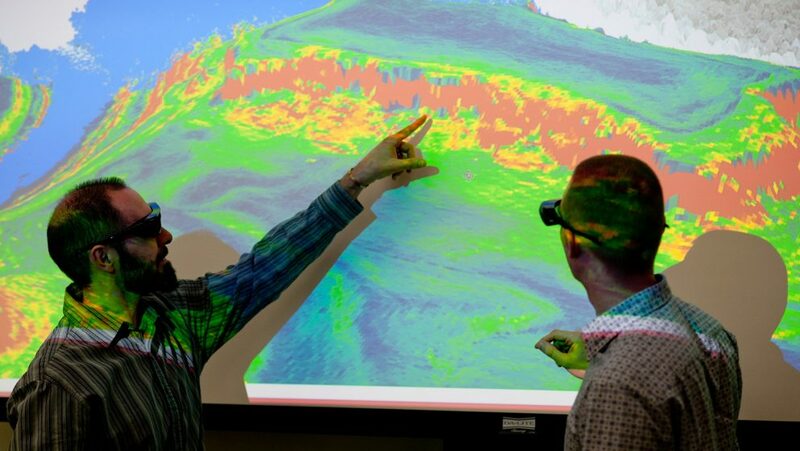 At the Center for Geospatial Analytics, we prepare the next generation of geospatial professionals to meet the urgent need for skilled leaders across a range of industries, career paths, and disciplines. Work with world-class faculty from colleges across NC State and innovate solutions to pressing problems. Graduate assistantships include a yearly stipend, tuition support, and benefits. 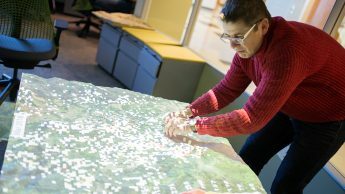 Our center administers two interdisciplinary graduate degree programs: a Ph.D. in Geospatial Analytics and professional master’s degree in Geospatial Information Science & Technology (MGIST). The Ph.D. program unites expertise from across NC State University to craft a unique curriculum and training experience tailored to each student. Learn from world-class faculty while developing new understanding of spatial phenomena and applying that knowledge to grand challenges. Our MGIST program was one of the earliest nationally recognized Professional Science Master’s Degree programs in GIS when it launched in Spring 2010. The degree can be completed entirely online and affords students an exceptional opportunity to partner directly with companies and agencies in hands-on service-learning projects. Our faculty also contribute to the GIS Technical Option for the Natural Resources Master’s Program, administered by the Department of Forestry and Environmental Resources in the College of Natural Resources. Launched in 2002, our Graduate Certificate in GIS provides students with a recognized professional credential and a quick start into the field. The program is designed for students who wish to establish themselves in GIS practice and build essential skills, without committing to a full graduate program. If certificate students later decide to pursue an MGIST degree, they can easily transfer up to 12 credit hours from their certificate work. Like the MGIST degree, the certificate can be completed entirely online. NC State graduate students currently enrolled in another master’s or Ph.D. program may also earn the certificate. Join the hundreds of students who have furthered their careers with our academic programs. If you are enrolled in a non-GIS graduate degree program at NC State, you may earn a graduate minor in either Geographic Information Science or in Environmental Remote Sensing. The minor provides students the opportunity to develop a recognized academic credential in conjunction with their major field of graduate study. Admissions to these minors requires adding an approved graduate GIST faculty member to your graduate committee and indicating the appropriate minor on your official plan of work. Students may email the Associate Director of Professional Education, Dr. Eric Money, for a current list of approved GIST faculty. Students enrolled in Option B programs cannot declare a formal minor. Students also pursuing a Graduate Certificate in GIS cannot double count minor and certificate coursework. We encourage students to review the course catalog for up-to-date course descriptions and current semester offerings. Students complete a total of 9 credit hours in selected courses to receive the minor. Six credit hours are earned in required courses, with three additional credits earned from choosing among a wide range of electives. Students complete a total of 12 credit hours in selected courses to receive the minor. Six credit hours are earned in required courses, with six additional credits earned from choosing among electives.